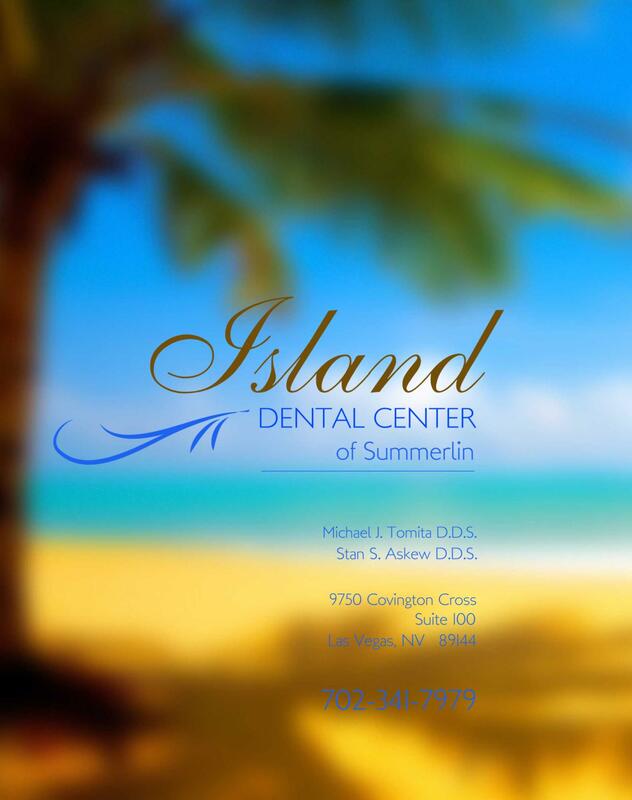 Island Dental Center has been serving the Summerlin, Las Vegas area for over 15 years. Dr. Askew and Dr. Tomita continue their commitment to promoting proper dental care and providing premium dental services. High grade dental materials and dental laboratory artistry ensure that our patients receive the best dental results possible. Sterilization standards of the office remain or exceed hospital standards for patient ease of mind. We hope you will visit us for you next dental checkup. Mahalo!